Book this cabin with single occupancy. 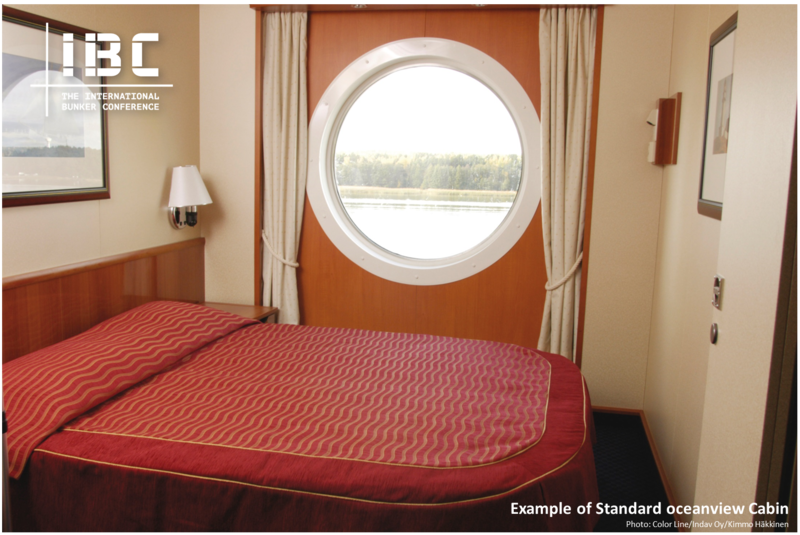 This cabin class includes a double bed and is the standard cabin included in your conference fee. For those who wish to travel in comfort, this cabin offers a beautiful ocean view to be enjoyed from your private quarters. 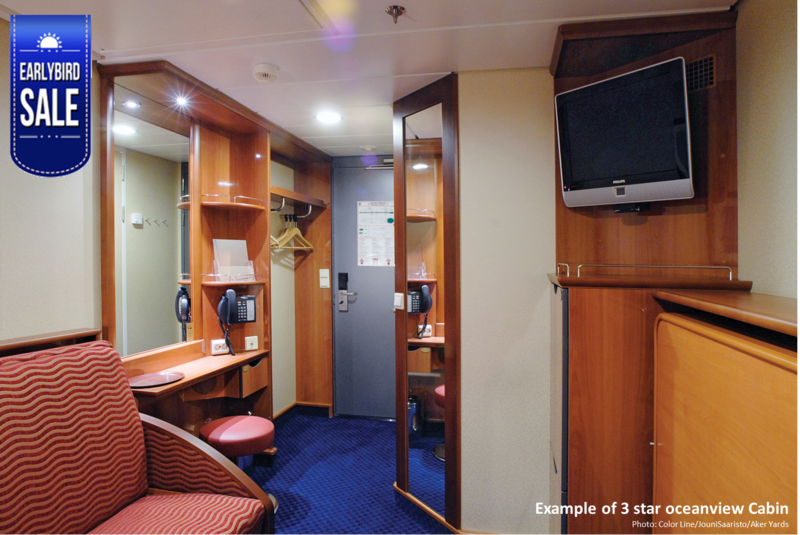 These cabins are located on deck 8,9,10 and 11, in the front, at the middle and at the rear of the ship. The cabins are appx 11 square meters in size. Cabin facilities include private bathroom with shower, refrigerator, telephone and TV, The fare includes conference fee, all meals and entertainment, breakfast is served in the Grand Buffet restaurant. For more information on this cabin click here.